WHAT IS BEHIND A TRAPPIST BEER ? Trappists are a Roman Catholic contemplative order with history that stretches back hundreds of years and roots long before that. The Rule of Saint Benedict, written in the 6th century, maps out the expectations of Trappist monks and nuns with an emphasis on authentic poverty and simplicity in the liturgy, manual work and non-involvement in secular affairs. Finding more than 120 different quality beers from bottle and 18 Beers from Draught, also with the focus on quality. We serve our Belgian Triple house beer, called Abbott, specially brewed for “Le Trappiste“ at brewery Van Steenberge. 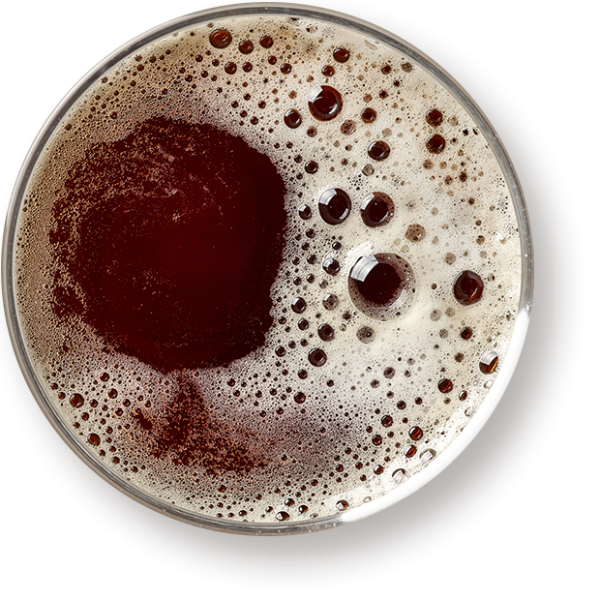 Although trappist recipes are secrets, beer ingredients are : grains, hop, yeast and water. Nothing is more simple than beer ingredients. Beer is among one of the most well-known Trappist-produced goods used to support the monastery producing the beer and fund its charitable endeavors. Beer is not intended to turn a profit. Incomes can be used to fund the monastery and local community. We also offer a rotating specialty beer bottle list, including some INTERNATIONAL marvels, which is unique here in Brugge. If you get one bar to go to in Brugge this is it! The setting for this bar is an extremely old underground crypt-like room that’s lit atmospherically by candles and feels like a medieval throwback. Good selection of beers on tap as well as in bottle and the bartenders are happy to make recommendations. Pricing is very reasonable (around 4 euros per beer). When we visited in the later afternoon it was not crowded, though it did fill up some as the evening wore on. This is the kind of place you can easily kill an afternoon or evening with good drinks and fun company in a great atmosphere. Don’t miss out while you’re in Brugge. We really enjoyed our visit here, although the steps down were a bit tight! The range of beers was amazing and the knowledge and help from the staff most welcome. I asked for some nuts and they came gratis which was nice and the whole place had a lovely atmosphere – I think this is great as it is a bit of a tourist trap, but I didn’t feel it. The beer was great, the nuts were good and the toilets, although dark, were clean. Yes I’ll go again when I’m next in Bruges. Thank goodness for TripAdvisor. Found this place through a quick search and it is a beer aficionado’s paradise. The only downside is you might end up spending your entire trip there. A temple to beer in an atmospheric 13th century crypt! An exhaustive selection of Belgian beers is available both on tap and bottle. They also stock one of my favourites from London- Beavertown ‘Black Betty’ so was I well pleased! Even better than the beer (if its possible) was the exemplary service. Our barman was outstanding in giving advice on sampling particular Belgian beers (despite the rather vague, or should I say slightly inebriated, way I expressed my style preferences!) and was more than ready to encourage us to taste samples from the taps. All this while he was working like a Trojan preparing sample paddles for the many other punters. If his boss happens to be reading this was on the evening of May 25th, so just wanted to say what a paragon of excellent and knowledgeable service you have working for you!